Brooklyn Dance Lessons is not a dance studio. It’s a team of dance instructors ready to work with you on your needs through private lessons. We’re here to help you with your first move, wedding dance, or complex dirty dancing routine. We can teach at your place, a nearby dance studio, or even in the park to work on your confidence. Founded by professional ballroom dancer and instructor Olga K, Brooklyn Dance Lessons wants to bring the happiness of dancing to everyone. 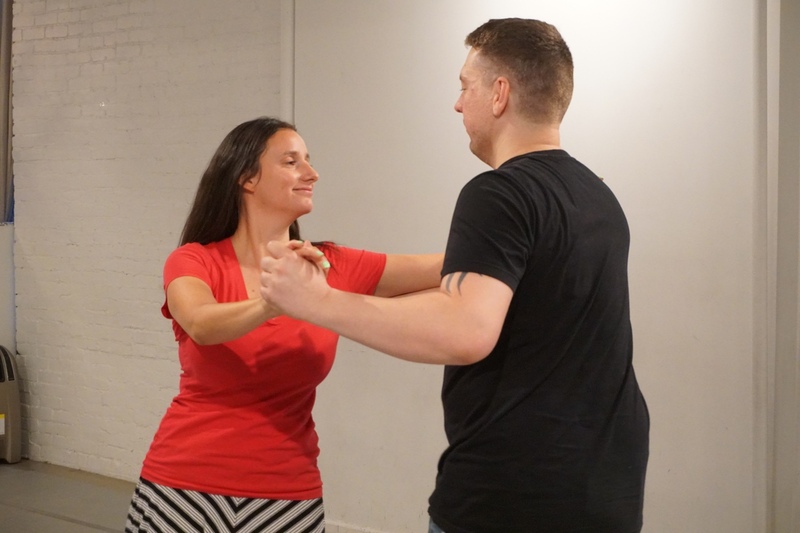 I took Rumba and Salsa lessons with Olga as an absolute beginner. I was impressed how fast I learned with her. She is a very good teacher and super nice person. I would recommend Brooklyn Dance Lessons to all my friends. We have been a practicing ballroom dancers for over 20 years. We studied all major styles of ballroom dance as well as rhythmic gymnastics. Olga is proficient in the International Standard, Latin styles as well as in American Rhythm and Smooth. Having participated in over 200 prestigious competitions, Olga has garnered many awards along the way. Throughout the years, she has trained under professional dancers and world champions like Karen Hardy, Andrew Sinkinson, Goran Nordin, Daniel Heroux, Patty Contenta, and Gennadiy Gunko and many others.